Matt goes into Amazon Marketing Services (AMS) and drops a big fat gold nugget as he shows us how he uses this to advertise on his competitors’ product pages. He also talks about creating a Vendor Express account using an unimportant product in order to leverage the Vendor Express advantages on all your strong products. What has Matt Clark and his team done? How did Matt Clark start in the selling business? How does Matt Clark see the future of Private Label business? 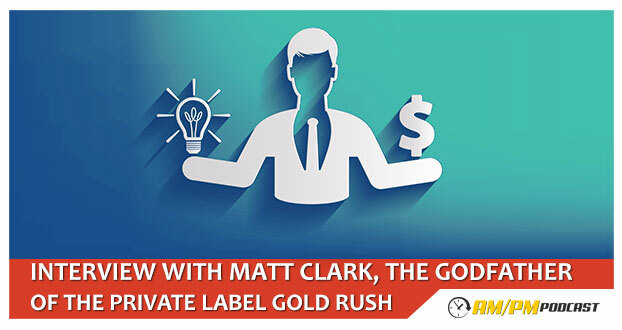 Matt Clark shares his thoughts on how to be successful in the private label business. Matt Clark shares some strategies, tips and tactics in selling private label products. Matt Clark talks about the benefits of Amazon Marketing Services and how you can have your products be advertised even on your competitor’s product page. Amazon Marketing Services lets you track conversion. How do I get approval for a Vendor Express account? How can I effectively scale up my Amazon FBA business? At what point of my business should I start outsourcing? What part of my business should I outsource? Matt Clark shares his future plans about Amazing.com and the future of online education in terms of selling. He also shares some life hacks on how he keeps focused on revenue-generating activities and doesn’t allow himself to get bogged down by the multitude of things a private label seller must do to keep the machine running.